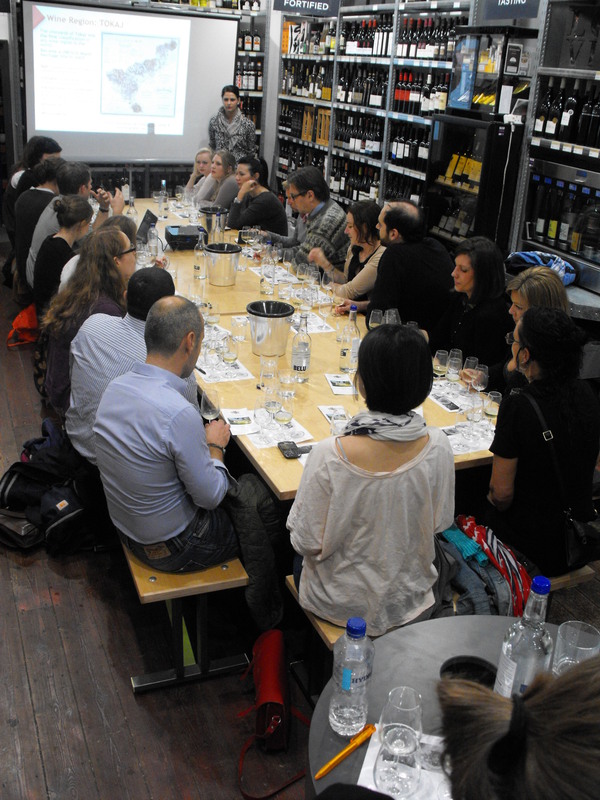 Last night saw our Masterclass of Grof Degenfeld Tokaji wines hosted by the lovely Eszter, direct from the region itself. After a brief introduction covering the history and general background of the region of Tokaji and the Grof Degenfeld estate in particular we plunged into tasting the wines. Points of interest include the fact that the Degenfeld winery has been certified as 100% organic since 2012 and claims to be the first in the region to have achieved this accomplishment. It now applies a less mechanical approach and has banned the use of pesticides to replace them with more recognisable household items such as baking soda and Fennel extract. Tokaji, the world’s first ever classified wine region became a UNESCO world heritage site in 2002 and has an exceptional climate of alternating periods of fog and heat. It is through these conditions that the noble rot or fungal growth called botrytis can thrive, helping to shrivel the grapes while feeding from the sugary water and increasing the levels of sugar to water ratio. This results in the intensely sweet juice that eventually ferments into the unctuous sweet wines we are more familiar with today. Increasingly we can find these grapes fermented as dry wines, and last night we had the pleasure of trying Degenfeld’s full range. The most predominantly grown grape in Tokaji is the Furmint, a flinty citrusy, variety with a racy acidity, ideal for the production of sweet wine but a curiosity in itself. This is followed by the Harslevelu, a fuller and fruitier grape, reminiscent of Auxerois from Alsace. Blend these two together when fully infected by noble rot and you have the great Tokaji; ‘the wine of kings, the king of wines’. More favourably drunk in its home environment is the subtly off dry muscat Lunel, instantly recognisable as the only grape variety to produce wine that actually tastes of grapes! Again with a deft touch of freshness this is best consumed as an aperitif wine. And so to the eagerly awaited Sweet wines or Aszu as it is known in Hungary. These are measured in levels of sweetness and intensity by the puttonyus system. This refers to the number of containers or ‘puttony’of sweet wine pulp that is added to a single barrel of fermenting grape must. 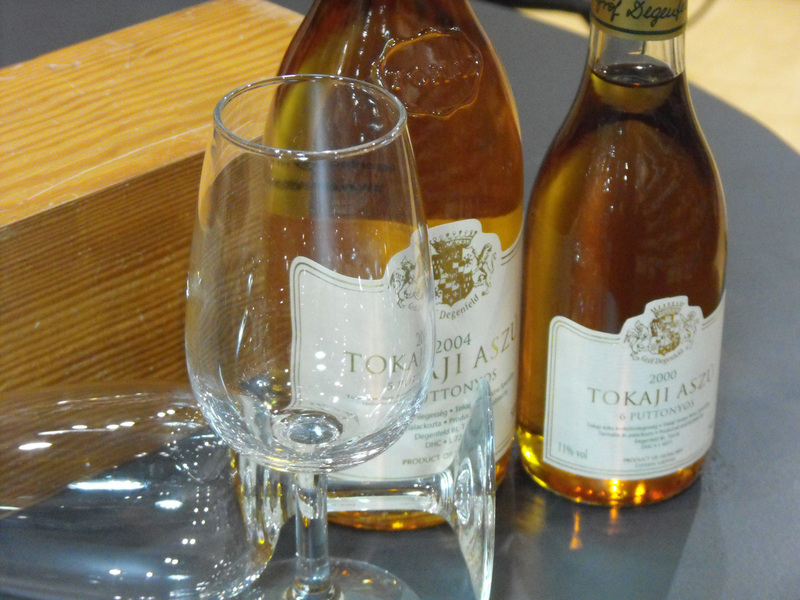 And this in turn explains what makes Tokaji sweet wines so exceptional with such consistent levels of rich sweetness and refreshing degrees of acidity. Nowadays these wines spend shorter periods in oak casks and more time maturing in bottle. This helps preserve the youthful fruit character that develops and intensifies the longer it is left intact. We sampled the 5 and 6 puttonyus from 2004, both divine in their own ways; the 5 for its freshness and rich apricot tones and the 6 for a powerful fig and sultana intensity. These are agency wines of Amathus Drinks and are a staple line in our ever growing and impressive range. We highly recommend you try these especially if you search something new or different. So here’s to seeing you all soon.